Our Michigan car accident attorneys represent clients in who have been injured in an auto accident due to a vehicle being driven the wrong way on a Michigan road. We handle all type of wrong way car accident cases involving cars, trucks, buses, motorcycles, bicycles, and pedestrians throughout the state of Michigan. We are dedicated to protecting your best interests and handling your case with professionalism, compassion, and commitment. We have some tips on how to avoid a wrong way motor vehicle accident and some relevant facts involving these types of crashes. Wrong way drivers cause about 3% of all crashes. Half of all wrong way car accidents kill or cripple a person involved in the crash. 75% of all wrong way crashes are caused by drunk drivers, and half peak around 2 a.m.
Wrong way drivers have more traffic violations, felony convictions, and other accidents than the average motorist. Wrong way accidents are becoming more common, even as the overall fatal crash rate has fallen dramatically. According to the National Highway Traffic Safety Administration, in 2009, 1,772 people in the United States died in motor vehicle accidents in which a driver entered a road against traffic or drove on the wrong side of the road. That was the most deadly year in a study conducted for five consecutive years by the traffic agency. Several thousands more were injured all across the country. To resolve this problem, the Department of Transportation is testing new road technologies and improving visibility of road signs and markers. Safety engineers are working to prevent people from entering freeways the wrong way and alert other motorists and police if they do. A detection system is currently being tested to connect it to a state's traffic control center, which can send automatic alerts to Highway police and to electronic signs to aware motorists. How do I Prove who was at Fault for my Wrong Way Car Accident? Police officers do not always witness car accidents. Because of this, cops on the scene often have to determine fault for the accident by interviewing drivers and witnesses, as well as examining vehicle damage for eveidence of speed, impact and other factors that might suggest fault. Other times, video surveillance cameras at local establishments capture footage of the accident. These can also be used to determine fault in the crash. Traffic accident reports will contain information about witnesses, road conditions, lighting conditions, and other observations made by the officers at the scene. Our legal team obtains these traffic accident reports and thoroughly conducts our own investigation. Many times, we are able to prove that the police determination of fault was incorrect. So, if you have been hit by a car going the wrong way, we will make sure the truth is uncovered and no fault is assigned to you. Do I Get No Fault Insurance Benefits After a Wrong Way Car Accident? Because Michigan is a no-fault insurance state, every automobile on the road is required to be covered by a no-fault insurance policy. These policies provide coverage the benefits to anyone injured in a car accident. These benefits, often referred to as personal injury protection benefits (PIP), provide payment for medical expenses, lost wages, attendant care services, household services, medical mileage, home modification, and other benefits. Even if you do not own a car or have your own policy, you may be entitled to these benefits depending on your situation. Our attorneys can determine who is responsible for paying your benefits and assist you in filing your claims. Can I Sue the Driver who Drove the Wrong Way? If another driver was going the wrong way on the road and caused you a serious injury, you can file a lawsuit against him or her as well as the owner of the vehicle, if applicable. Under Michigan law, you must prove that you have sustained a serious injury and that it has affected your ability to lead a normal life. This could mean chronic pain, requiring medical treatment, missed time from work, and not being able to participate in your normal hobbies and pastimes. How Much are Settlement Amounts in Wrong Way Drviving Accident Lawsuits? Unfortunately, there is no set guidelines or calculators to determine the amount of a settlement for a wrong way accident in Michigan. There are many different factors that attorneys and insurance companies use to determine the final value of a settlement. These factors include the percentage of fault of each driver, the seriousness of the injuries sustained, the type of medical treatment required, and the presence of any scars or disfigurements. The length of time of disability and the inability to perform activities due to the injury can also contribute to the car accident settlement amount. 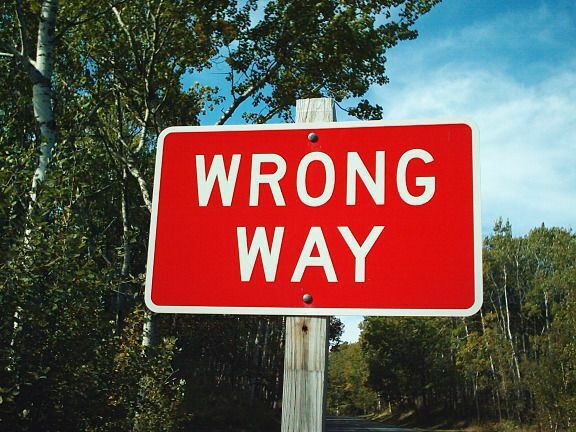 Victims of Michigan wrong way car accidents do have legal rights and should pursue them immediately after the accident. When choosing your Michigan lawyer, it is essential to choose the right lawyer so that you may receive a fair settlement. Your Michigan car accident lawyers can also help you receive all of your No-Fault Insurance benefits, including medical expenses, lost wages, attendant care services, and other benefits. Attorney Daniel L. Buckfire lawyers is rated "Superb" by the top lawyer internet rating service and has achieved the utmost possible rating for ability and integrity in the legal profession. For more information about your rights after a wrong way car accident in Michigan, call us at (800) 606-1717to speak with an experienced car accident lawyer or simply submit this contact form and someone will call you shortly. We represent clients injured in wrong way Michigan car accidents, motorcycle accidents, bicycle accidents, truck accidents, moped accidents, pedestrian accidents, bus accidents, ATV accidents, ORV accidents, and hit and run accidents.